Lab Analysis | Puretap Water Distillers. We care about the water you drink. It’s not just a catch phrase. Our water is manufactured to exacting standards dictated by Health & Welfare Canada. With distilled water we take municipal water (which in itself is monitored by the Government) boil it down until it turns to steam, then we take the steam, condense it into pure water, store the water in a sterile stainless steel tank until bottling. The spring water is drawn from a deep artesian well in the Hillsburgh area of the Niagara Escarpment and pumped into a stainless steel tanker used exclusively for hauling spring water. From the tanker, the spring water is pumped through a stainless steel filter rated at 5 Microns to lines that lead to stainless steel storage tanks. When the water is ready to be bottled (spring or distilled), it is pumped again through stainless steel pumps and tubing, to a 2 Micron Filter, through an ultra-violet light (to kill any line bacteria that may develop) and ozonated as it is being bottled. The actual filling of bottles is done in a clean room, with recirculating bacteria free air, by a stainless steel bottling machine. Every bottle is filled automatically with little chance of contamination. Furthermore we employee a staff of quality control personel to inspect from start to finish all products that are produced. Every bottle is date coded and each batch is tested daily for 100 quality control by an independent laboratory – Silliker Labs. We offer a lab report on every bottle that is filled on a particular day. We are proud of the quality of our water, and take even greater pride in the way we manufacture it. There are very few, if any bottled water companies, that offer such stringent controls of their products. 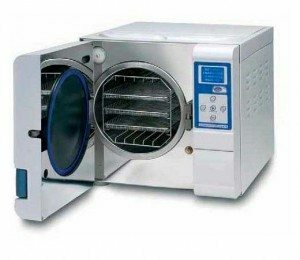 Sterilization autoclaves are widely used in microbiology, medicine, podiatry, tattooing, body piercing, veterinary science, mycology, funeral homes, dentistry, and prosthetics fabrication. They vary in size and function depending on the media to be sterilized. Water is the lifeblood of a laboratory autoclave. The quality of water used will drastically impact the lifespan of the autoclave chamber and steam generator, as well as the types of loads that can be sterilized. Water between 0.1 megohm•cm to 1.0 megohm•cm would be appropriate for the vast majority of research lab sterilizer loads such bio-hazardous waste, clothing, cages, glassware, media, or general lab equipment. On the other hand, items very sensitive to mineral contamination, such as tissue samples or items used in cGMP processes, should only be sterilized by steam generated from water greater than 1 megohm•cm. Water of this purity is generally only achieved from distilled. Morning Mist Distilled water avoids risking damage to your equipment from poor quality water. Our distillation technology kills harmful bacteria and viruses by vaporizing water and then reconstituting it through condensation. The result is water that’s 99% free of most contaminants. 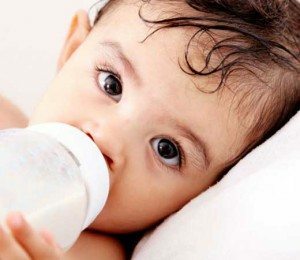 Many doctors insist that Distilled water is the only water to use when mixing baby formula. The American Dental Association recommends not using water that contains high levels of fluoride when mixing powdered or concentrated baby formula. Too much fluoride puts your baby at risk for enamel fluorosis, a condition that develops while the teeth are forming in the gums. It’s not a disease, but it can result in faint white lines or white spots or areas on the permanent teeth. Buy our distilled water in gallon-sized jugs specifically for babies. Many companies market baby water or baby formula water as an easy way to grab a parents attention. These brands can usually be found in the baby aisles of grocery stores, pharmacies or big box stores. However, if you are looking to save some money, don’t be fooled most baby water that is marketed for babies is just distilled water with a cute picture on it. Grab a jug of our Morning Mist Distilled. 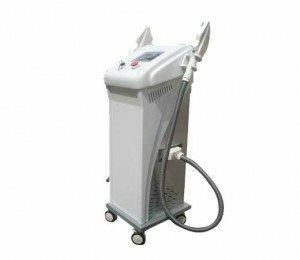 Many spas having equipment that require the use of distilled water. Distilled water is clean of impurities preventing damage to the equipment. Many warranties are voided for not following the proper maintenance protocols, such as distilled water. The performance of high-powered lasers depends on effective cooling. For low-power lasers needing temperature control, air cooling is sufficient to remove waste heat. A steady flow of ambient-cooled distilled water to a cold plate, or directly to the laser head, will usually suffice for a medium-power laser. Another consideration is the type of coolant required by the laser. Most standard-model chillers can handle ordinary distilled water as a coolant. Additives include algaecide to prevent algae growth, and/or ethylene glycol to prevent corrosion and lower the freezing point of the fluid. Some lasers require deionized (DI) water, which can be very aggressive toward many materials. If this is the case, the chiller must have only DI-compatible materials in contact with the coolant, and it should be equipped with a deionization cartridge to maintain the required resistivity level. Distilled water Is the preferred choice in laser cutting equipment. Furthermore, Distilled water is preferred to deionized water. Distillation removes both ionic and nonionic organic contaminants. The main problem with not using DI or distilled is the increase of calcium in the water leading to clogging the water lines just like in your house. The efficiency and ultimately the life of the tube will degrade as the water flow decreases. An example of using distilled water water cooling on CO2 designs as well as YAG and diode-pump designs. Distilled water has no effect on plastic or stainless reservoirs.